Each month I share a little recap of the previous month with some random facts and numbers. Here we are again, with a recap of April! Enjoy! Birthdays celebrated. 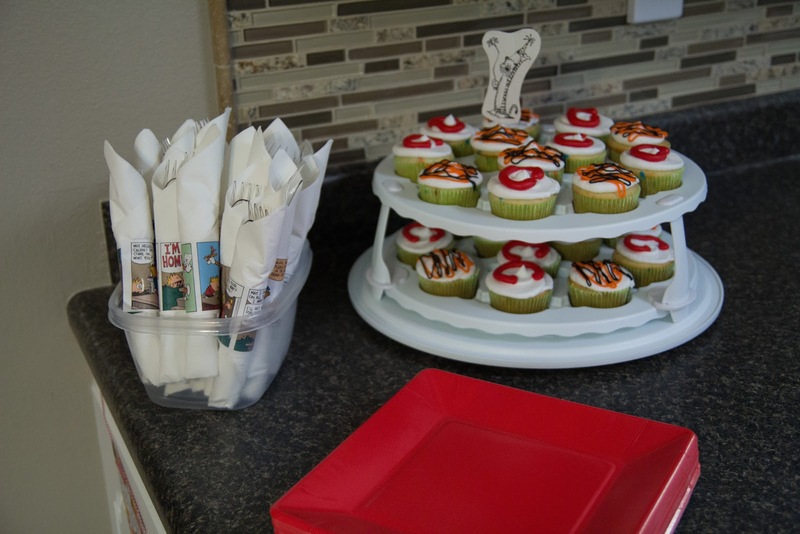 We had Wesley's Mickey party early in the month and Calvin's Calvin and Hobbes party this past weekend. Calvin's birthday is actually in May, but his party was on April 30th. A full post on Calvin's party will be out later this week! Number of night's Calvin slept all night. This is a VAST improvement from 11 last month and 1 the month before. Thank you ear tubes for the hopeful continued improvement in sleep, though I know we have many more teeth to come. Times I wore my green utility vest. I am SO glad I got it (sorry if I sound like a broken record), and I have so many more ideas beyond what I posted here. Trips to Target. One was solo and another was with this guy to spend his birthday money. He originally picked out these toys, but ended up with a Daniel Tiger figures set and a stuffed Toby the Cactus from Sheriff Callie. Times I made my 8 hour of sleep a night goal. I do need to go to bed earlier... and Calvin needs to sleep later. Date nights. One in home and one away from home. Excited for a few more this month! What numbers represent your month? I'm linking up with Still Being Molly, Motivation Monday and Shoes to Shiraz.